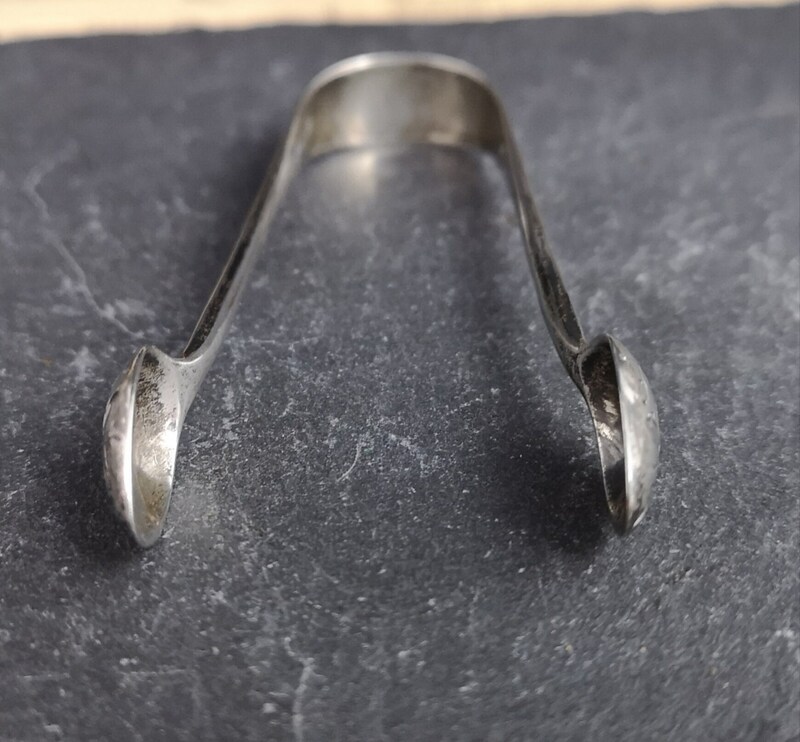 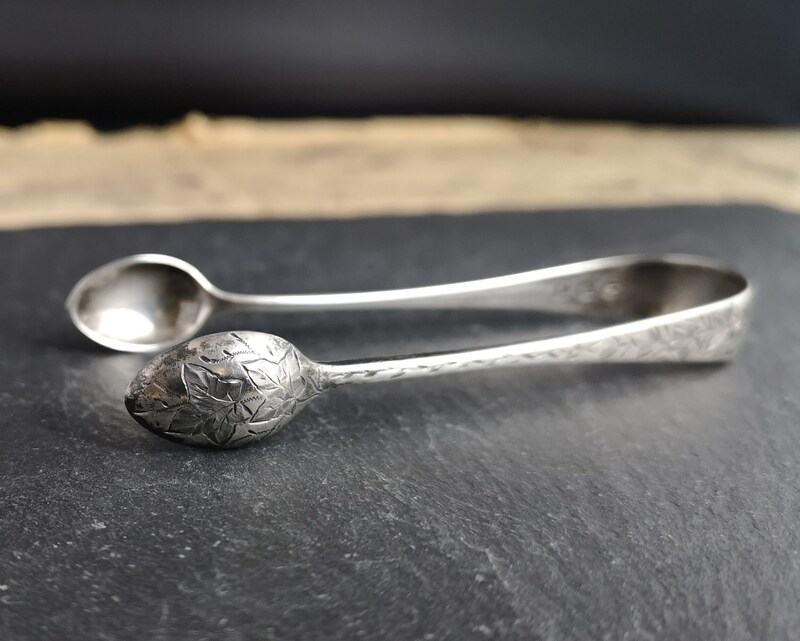 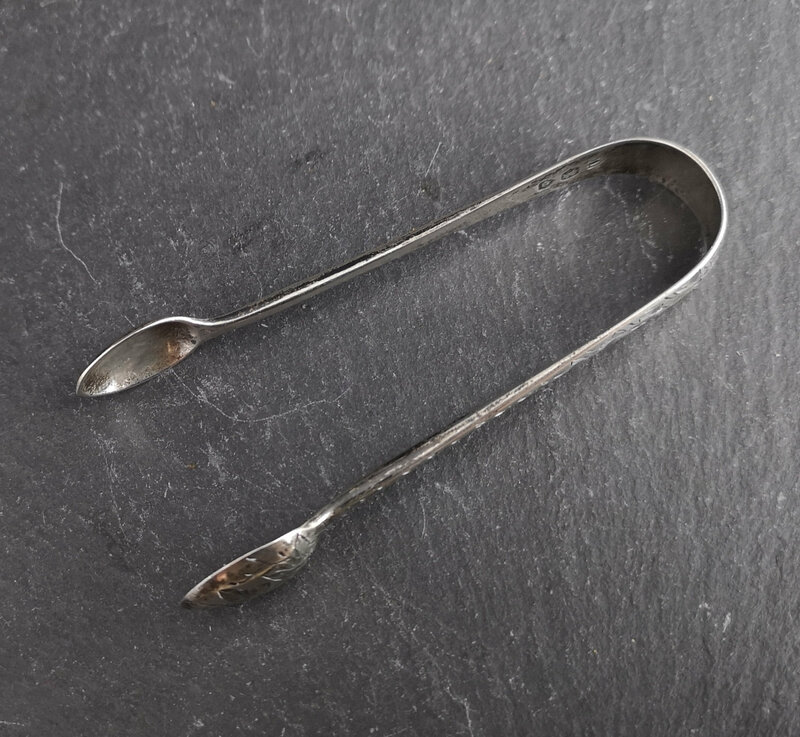 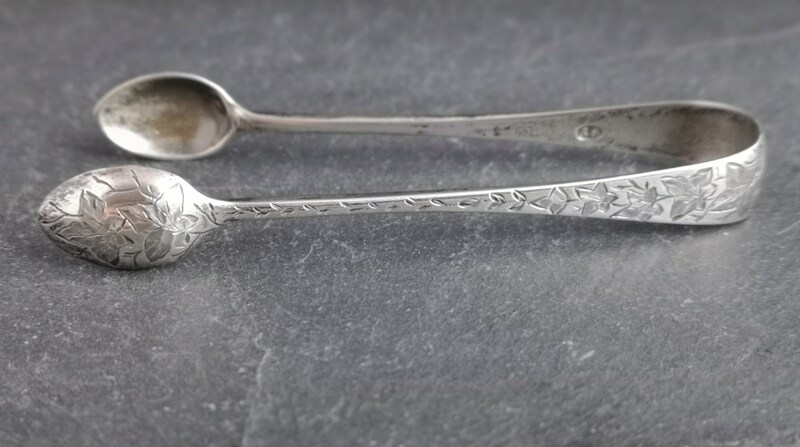 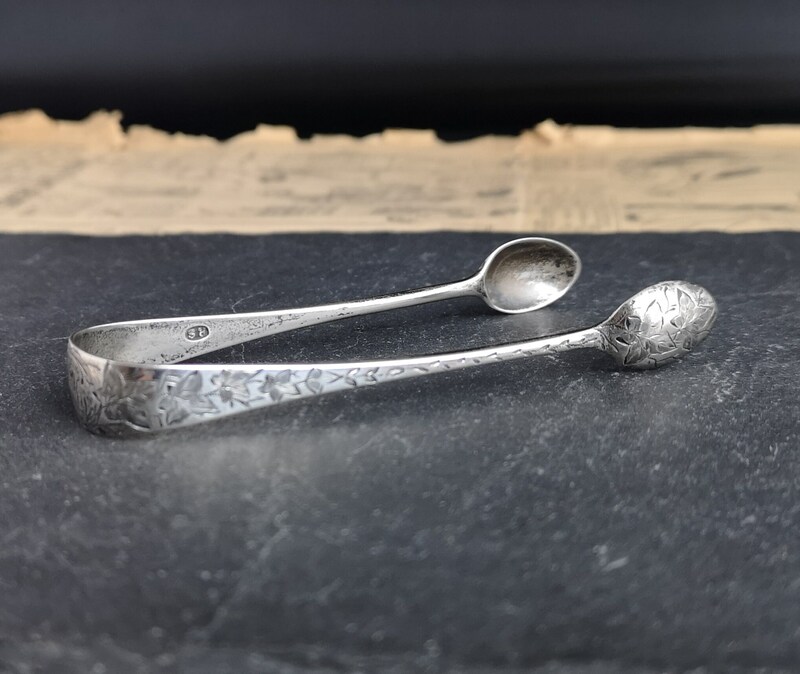 A very attractive pair of antique Victorian sterling silver sugar tongs. 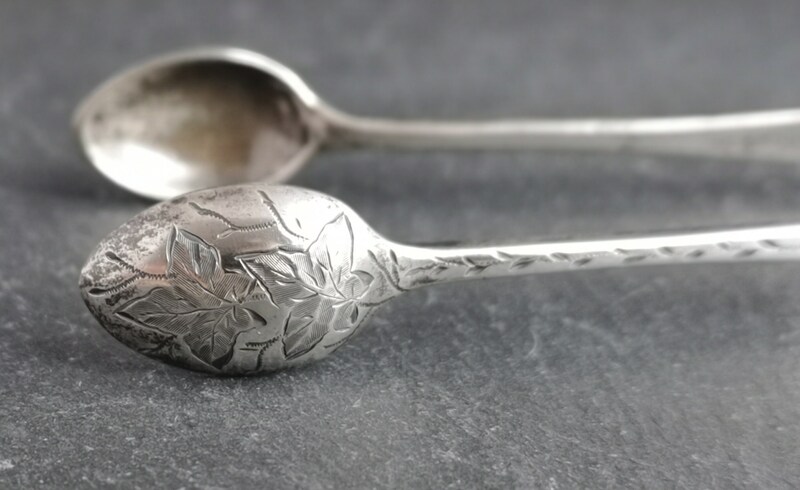 All over delicate and detailed engraving of trailing ivy, these are a particularly decorative pair, monogrammed at the end. 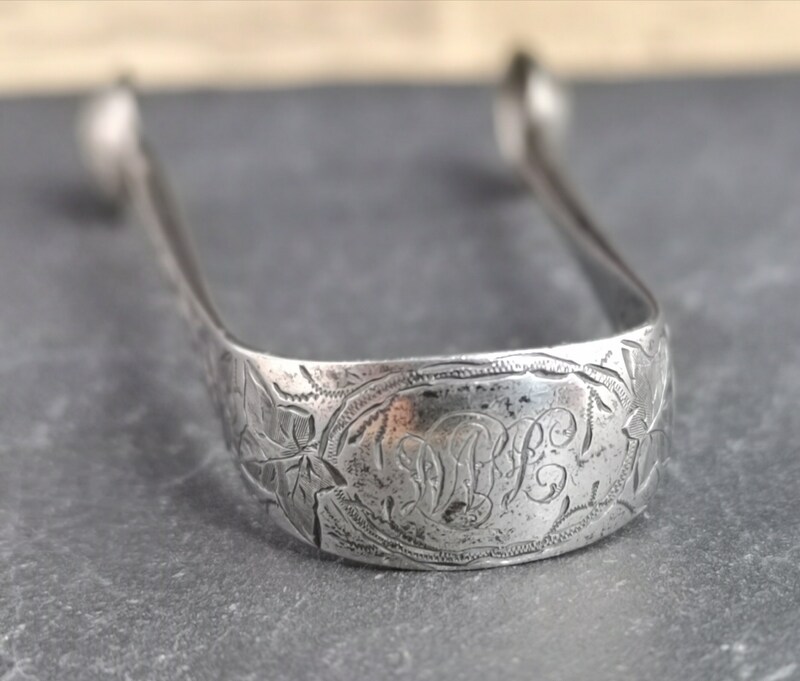 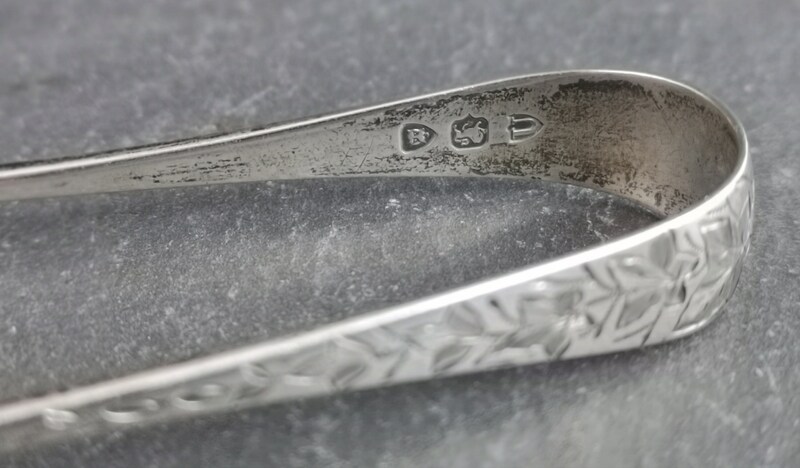 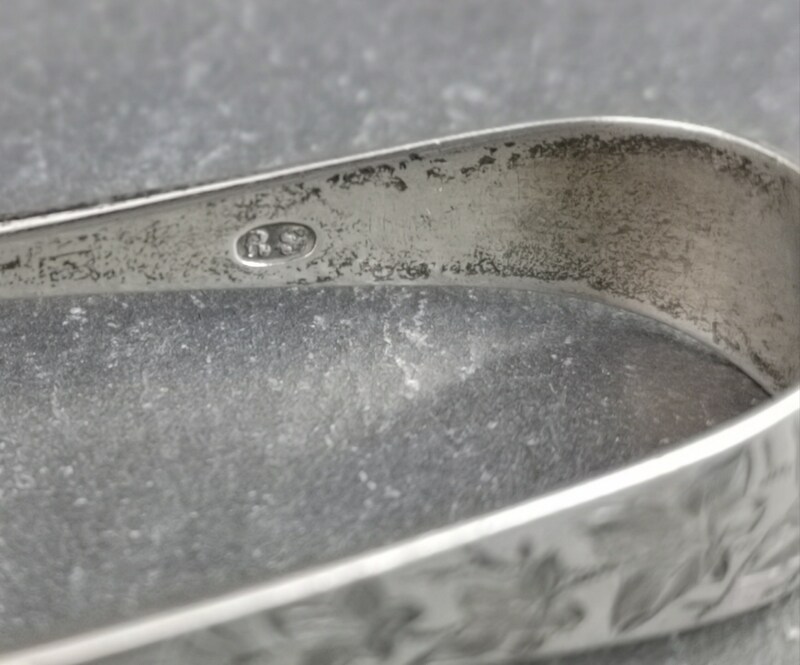 Fully hallmarked for London, 1895, Robert Stebbings. 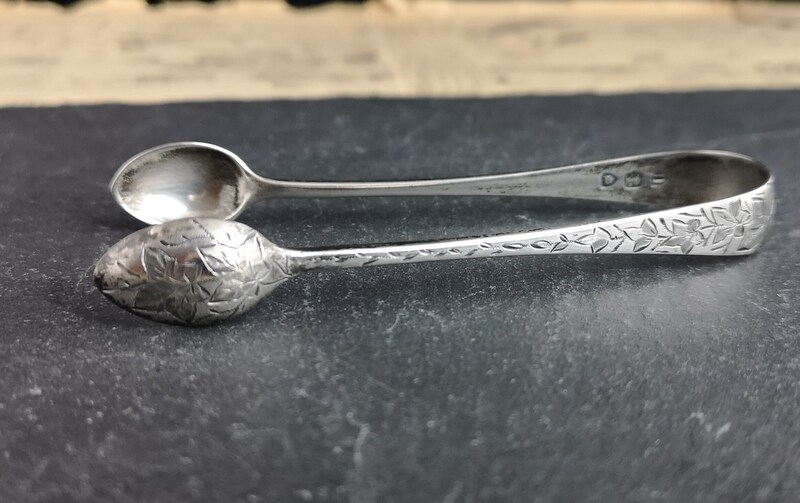 Approx 4" length and they weigh 17.61 grams.